IMPORTANT: This software is only for use with the products identified and sold in South Africa, Australia, NewZealand, Singapore, Indonesia, Philippines, Vietnam or Middle East & Africa countries. Not all models are sold in all countries. Improves the performance and stability of the Internet TV features. Navigate to Settings and press OK to select it. 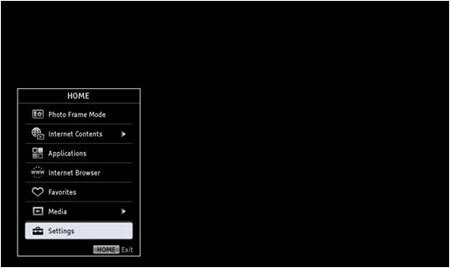 Navigate to Setup and select it. Navigate to Product Information and select it. 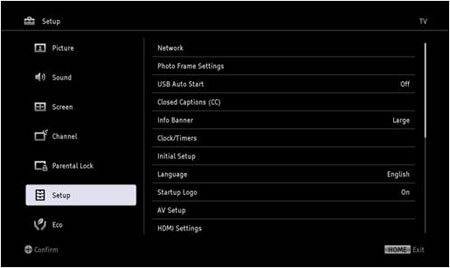 If your Software Version is v7.406 or higher, your TV does not need this update. Download the sony_tvupdate_2013_7406_lpf_auth.zip file to a temporary or download directory (please note this directory for reference) on your computer. Go to the directory where the file was downloaded and verify that the size of the sony_tvupdate_2013_7406_lpf_auth.zip file is 93,777,979 bytes. a. Right-click the sony_tvupdate_2013_7406_lpf_auth.zip file, and click "Properties". b.. On the "sony_tvupdate_2013_7406_lpf_auth.zip Properties" screen, verify that the "Size:" listed is "93,777,979 bytes". c. If the file size is different than the "93,777,979 bytes", please download the sony_tvupdate_2013_7406_lpf_auth.zip file again. 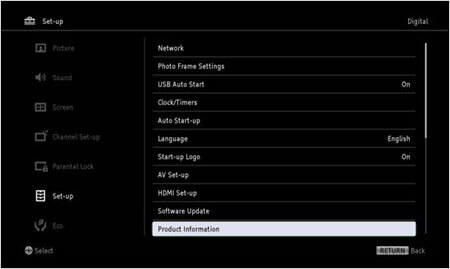 Extract the update file from the sony_tvupdate_2013_7406_lpf_auth.zip file. a. Go to the directory where the file was downloaded and right-click the sony_tvupdate_2013_7406_lpf_auth.zip file, and then click "Extract All. c. A new folder will be created called "sony_dtv0270000b700b_00001201"
e. A new folder will be created called "sony_dtv0270000b700b_00001201"
a. Go to the location where the file was downloaded and double-click the sony_tvupdate_2013_7406_lpf_auth.zip file. b. A new folder will be created called "sony_dtv0270000b700b_00001201"
For Windows® XP operating system: Go to the directory where the folder was created, right-click the sony_dtv0270000b700b_00001201 folder and, from the menu, click "Send To...", and then click the drive (E.g. Removable Disk E:) that represents your USB device. The update folder will be copied onto your USB device. For Macintosh® OS X operating system: Drag and drop the sony_dtv0270000b700b_00001201 folder to the root folder of the USB device. The firmware update process may take up to 3 minutes. 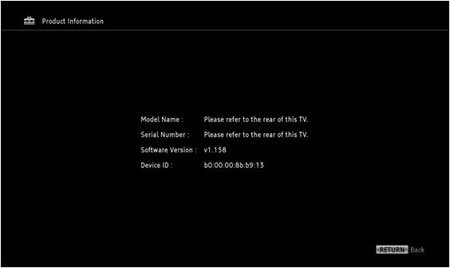 First read the whole procedure before starting to update the firmware of your TV set. Insert your USB device containing sony_dtv0270000b700b_00001201 into the USB slot located at the side of the TV set. Navigate to Software Update and select it, and USB and select it. After several minutes, the System update complete message displays. And the TV will turn off automatically and then turn back on to complete the update. Safely remove your USB device from the USB slot. If your software version is v7.406, the update was successful.